These unique personalized coasters are clear with a sparkling gold monogram in a stylish contemporary font inside a square design. They make great bridesmaid gifts, birthday gifts for your besties or Valentine's Day presents. 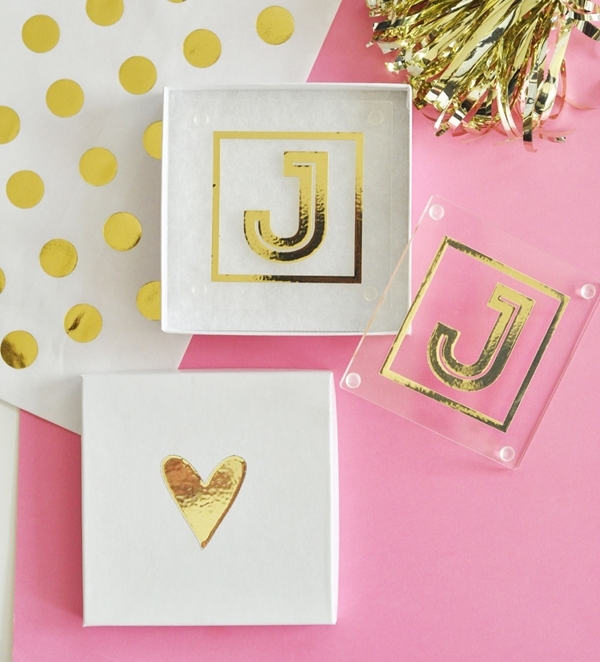 Even better, you may add an optional white gift-box with a stylish metallic gold heart design to complete the whole package! PLEASE NOTE: Pictured polka-dot goody bag and gold tassel are not included.